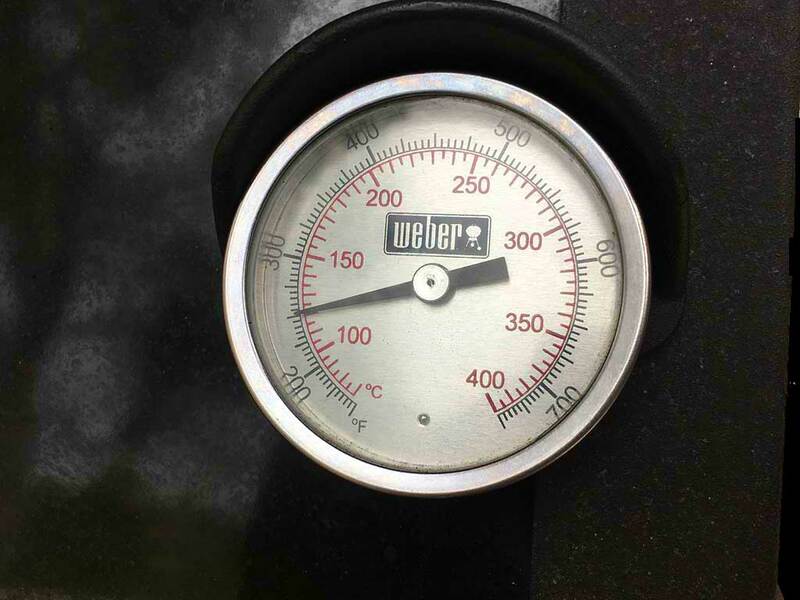 If you’ve got plenty of fuel and clean burners but the heat and flames still aren’t right, then it’s possible your grill has gone into what Weber refers to as “bypass mode”. This occurs when the regulator—that aluminum contraption at the end of the gas hose that screws onto the tank—detects a gas leak…or at least thinks there’s a gas leak. Every time you open the propane tank valve, the regulator compares the difference in pressure between the gas in the tank and the gas in the hose leading to the burners. When the pressure equalizes on both sides, the regulator allows gas to flow freely to the grill when you open one of the burner control knobs. However, if the regulator senses that the pressure in the hose is lower than the pressure in the tank, it trips a safety device known as a bypass that reduces the flow of gas to a faction of the normal flow, under the assumption that there may be a leak in the system. The flames will burn very low and the grill won’t get very hot, perhaps no more than 250°F. Did You Accidentally Put Your Grill Into Bypass? Turn off all the burners and close the tank valve. Open the tank valve fully and wait a few seconds for pressure in the regulator and gas hose to equalize. Open the grill lid, then open one of the burner control knobs and light the grill. Turn all burners to HIGH and close the lid. The flames should be strong and the grill should heat to over 500°F in 10-15 minutes. If this process does not work, try it again, but in Step 2 disconnect the regulator from the propane tank and wait 60 seconds before reconnecting it and proceeding to Step 3. If you’re lighting your grill correctly and it keeps going into bypass mode, you may have a gas leak. To check for leaks, open the tank valve fully but keep all control knobs in the OFF position. Apply a soapy water solution to the hose and all gas connections using a brush or spray bottle. Bubbles will appear at the point of any leak. Repair any leaks and retest using soapy water to confirm the fix. If you can’t identify any leaks, then you may have a bad regulator. Contact Weber Customer Service at 800-446-1071 for help. Weber’s got a nice video on the subject of regulator bypass, hosted by our friend Kevin Kolman.